Think electric cars are slow? A group of students in Switzerland would take offense at that notion. 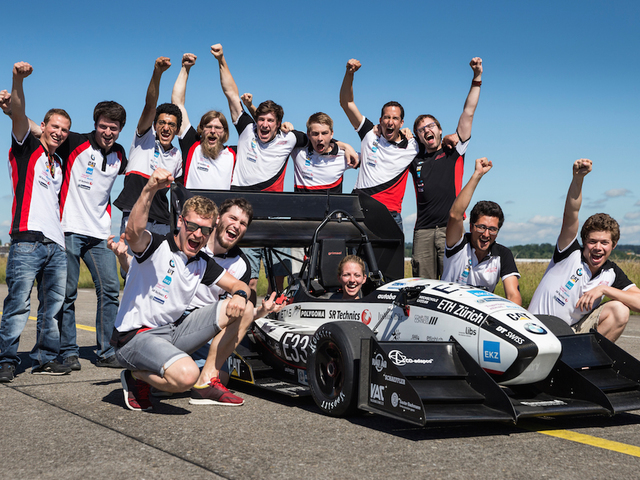 Students at two Swiss universities got together, built a vehicle and smashed the world record for acceleration by an electric car. The small race car named the Grimsel went from 0-100 kmh (62 mph) in 1.513 seconds during a run on Wednesday at Dübendorf Air Base near Zurich. The previous world record was done in 1.779 seconds in July 2015 by a group of German students, according to Guinness World Records . According to the Academic Motorsports Club Zurich, the Grimsel only weighs about 370 pounds — as a comparison, Formula One cars weigh about 1,600 pounds. The group boasts that no other car on Earth can match the Grimsel's acceleration rate. Watch the team's record-setting acceleration in the video player above. Watch a longer version of the team's run at this link .